Looking for innovative ways you can help rescue animals? Here’s 3 you should try! Many people tell us that they’ve tried volunteering at their local animal shelter and whether it was the staff, the facility or just the repetitive nature of the duties, they burned out and want to try something different. 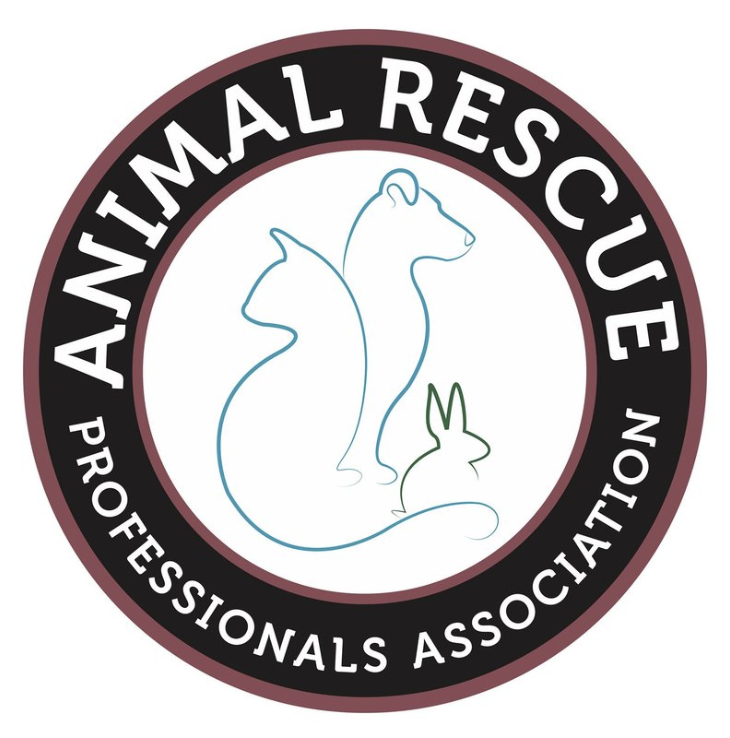 Our friends at the Animal Rescue Professionals Association produce a weekly podcast called Professionals in Animal Rescue that highlights people from all walks of life and explains how they are helping animals. This podcast is a great source of inspiration for new ideas on your quest to save more animals through volunteering. If you have been involved in any aspect of animal rescue transport, you know how vital it is to have a seasoned and calm transport coordinator. And the best part about this volunteering opportunity is that you can do it anywhere. There’s no need to go to your local shelter to help animals when you can do it from the comfort of your lazy boy. The transport coordinator is the logistics person that plans, manages, executes and communicates about the rescue relay transport. They work with the sending shelter or rescue and receiving shelter or rescue to determine which animals are traveling. Then, the transport coordinator (known as the TC) plans the transport route and helps get the volunteers signed up for their portion of the journey. Of course, the BEST TCs use Doobert since we automate the most difficult tasks in animal rescue transport. But there are a few holdouts that still rely on Facebook groups or even Yahoo groups to find their volunteers. We love all volunteers that are helping animals so we don’t judge. If you’re interested in being a TC, Doobert can help. Check out our Transport Coordinator Training and get started today! Are you a whiz with Instagram? Do you know how to pin with the best of them and tweet like nobody you know? Then your skills could be a huge asset as a volunteer for a local animal shelter or rescue organization. Social media has overtaken our society and is here to stay so animal rescues and shelters need to keep up and post their available animals for adoption. But this takes time to coordinate an effective social media campaign and time is not something most local organizations have. Enter you as the volunteer social media coordinator for animal rescue. Working with the local shelter you can establish the approach, voice and style of the social media campaign they are looking for. Then you can use your mad skills to help save animals. Who would’ve thought you could save animals through Instagram? So your first question likely is “What the heck is a content curator?” In simple terms, the content curator is scouring the internet for the best stories, photos, and “content” and cutting through all of the clutter by focusing ONLY on the best stuff. As the volunteer content curator, you’d be helping local rescues and shelters to find stories to highlight on blogs and in their social media to raise attention for their organization. Ever see those posts from the dodo that show heartwarming stories about animals? That’s a content curator at work. 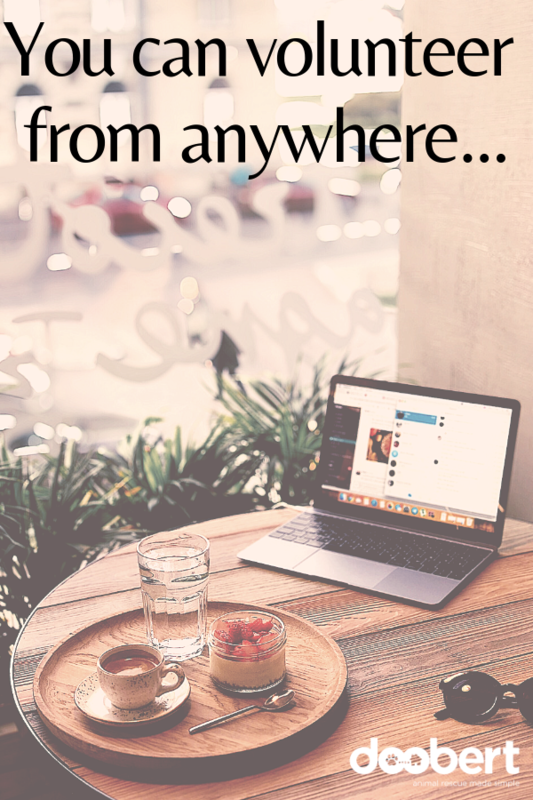 If you’d be interested in trying your skills in this area, just reach out to us here at Doobert and we’ll help you get started. Contact us today!